The second-best is “If your saddle is comfortable and isn’t giving you trouble, don’t change it.” I got the advice about saddles from a salesperson at Condor Cycles in London. 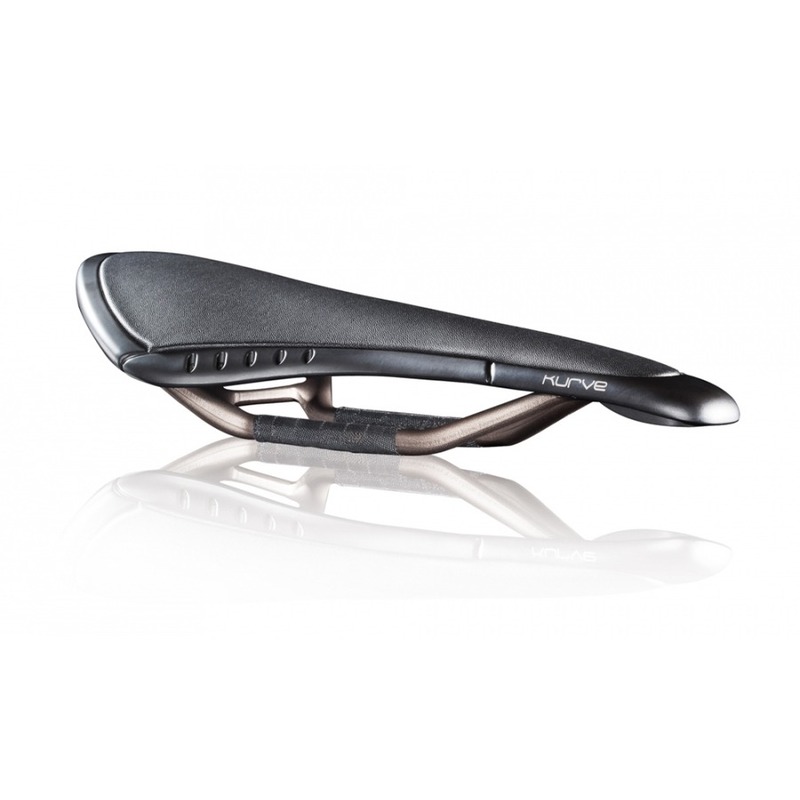 In 2012 fi’zi:k launched their Kurve range of saddles. There were three models, in the range: the Snake, Chameleon and Bull. Each shape was designed to suit where your bodyweight was positioned, as determined by your flexibility. That was sufficiently geeky to attract me. I walked into Condor Cycles ready to buy a Kurve saddle. The salesperson asked me which saddle I was using at the time, and if I liked it. My first road bike came with a Selle Italia SL saddle. I said I had no complaints about that saddle. Which is when she told me that she wouldn’t sell me a different saddle. When I got my second road bike I went with a Selle Italia SLR Superflow saddle. Which was essentially the SL with a larger cutout. Fast forward a few years, and my SLR Superflow was showing its age. There was a cut right at the tip on the left side. A memento from a crash. Riding in the rain with wet and gritty bibshorts had abraded the cover on either side of the nose. And the blue elastomer insert under the rails at the front had been squeezed out of shape. It was time for a new saddle. Last July Selle Italia announced the latest iteration of the Superflow saddle. The SP-01. Immediately noticeble is that the rear frame is divided into two parts. This allows the saddle to adapt and flex subtly to different riding positions and shifts of rider weight from side to side and front to back. That was sufficiently geeky to attract me. The avice from the Condor Cycles salesperson was ringing in my ears. But I figured I was safe by keeping my new saddle choice in the Superflow family. I’ve had the SP-01 Superflow for a couple of months now. I like it alot. I still have an SLR Superflow on my Ritchey Break-Away. So I have been able to compare the two saddles. This is a subjective assessment, but the SP-01 Superflow does feel a bit more comfortable and compliant than the SLR Superflow. Posted in Gear and Tools and tagged Condor Cycles, Fi'zi:k, Kurve, Selle Italia, SL, SLR Superflow, SP-01 Superflow. Bookmark the permalink. A rider touches a bicycle at three points. At the pedals, the saddle, and the handlebar. When I got my first road bike the components at these three contact points were chosen for me by James Flatman, the bike builder. Thank goodness, because the choices of pedals, saddles and handlebars are seemingly endless. My steel Alchemy came with Speedplay Zero pedals, a Selle Italia SL Flow saddle, and a Ritchey Comp Road Logic handlebar. I was happy with all those contact points, so a year later when I got my next road bike I was happy to stick with what I was used to. Welcome to the concept of product updates in the cycling components world. My titanium Alchemy came with Speedplay Zero pedals, a Selle Italia SLR Flow saddle (the SL Flow having been discontinued), and a Ritchey WCS Carbon Evolution handlebar (the Road Logic having been discontinued). The saddle and handlebars were not very different from the models which they had replaced, but they were different enough for the change to be noticeable. So it was that I contracted that affliction that affects so many cyclists. The desire to fiddle. In my case with saddles. Fortunately the itch to fiddle has not extended to my pedals and handlebars. The scope for mucking around with my pedals is limited anyway. I like the dual-sided entry of the Speedplays. Other makes of road pedals are single-sided. So my only option is getting lighter Speedplays; chrome-moly or titanium. I haven’t yet been cursed with the ultimate cyclist’s affliction, the desire for the lightest components on earth. So my stainless steel Speedplays remain my pedals of choice. I must admit that I like the Carbon Evolution handlebar more than I like the Comp Road Logic handlebar. The Carbon Evolution has an oval top with a 4 degree sweep, which makes it more comfortable than the Comp Road Logic. So about a year ago I put a Carbon Evolution handlebar on the steel Alchemy. Back to fiddling with saddles. Of the three contact points I notice the saddle the most while I am riding. Not that the SL Flow or the SLR Flow are uncomfortable saddles. They both have a central cutout, which I like. This is the SL Flow. This is the SLR Flow. 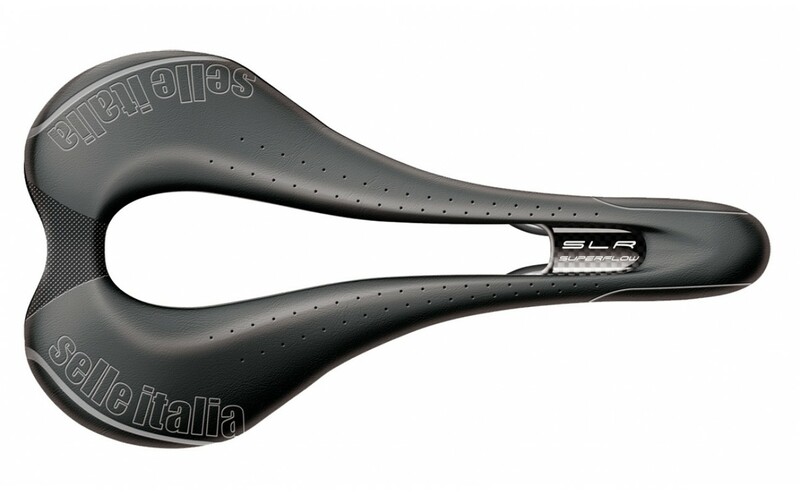 The SLR Flow has a slightly larger cutout than the SL Flow, but they are essentially the same saddle. Equally comfortable. But as I learned more about saddle shapes and the different materials used to make them, I kept wondering if there may be a more comfortable saddle out there for me. 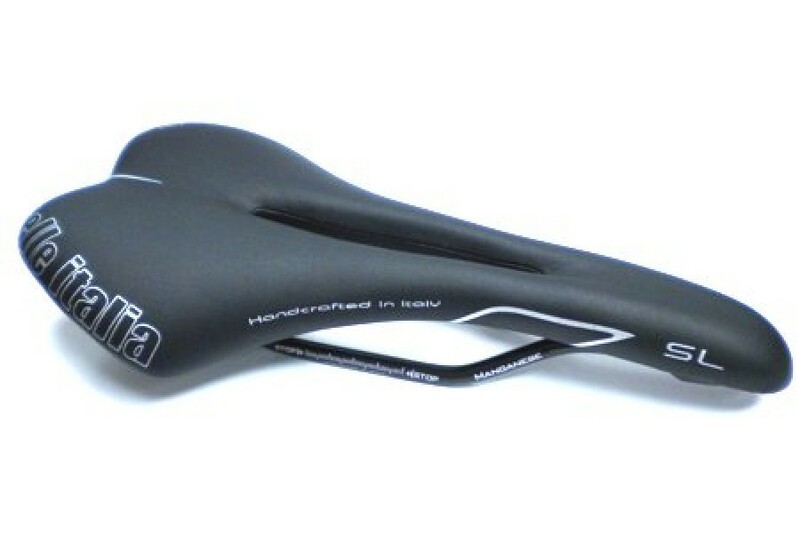 Then in the latter half of 2011 I read about the Fi’zi:k Kurve range of saddles. There was enough new technology in the Kurve saddles to appeal to the geek in me. Spine Concept designs, Re:flex construction, a Tuner interchangeable tension system, a Moebius one-piece saddle rail. Add positive reviews about outstanding comfort to the mix, and I wanted one. The Fi’zi:k Kurves appeared in a few London bike shops some time before they turned up in Dutch bike shops. At the very first opportunity I popped into Condor Cycles in London. I had every intention of leaving with either a Kurve Snake or a Kurve Chameleon saddle, depending upon what a Spine Concept test showed I was best suited to. I left empty-handed. She refused to sell me a saddle. She told me not to try to fix something that wasn’t broken. That cured my saddle fiddling itch. That is until I started seeing Michelle again. Michelle is a Rolf Method Structural Integration Practitioner. She does myofascial release therapy. In plain language, she manipulates deep tissue to correct postural imbalances and restrictions. I saw her regularly in the years before I moved to Houston. As soon as I got back to Kuala Lumpur I signed up for a course of therapy. I had lots of things that needed fixing. Some brought on by cycling. After Michele had worked on my hip muscles: adductors, glutes, illiopsoas, piriformis, sartorius, etc., my saddles felt less comfortable. They felt too narrow. I had learned that bicycle saddles come in different widths. Perhaps Michelle had loosened up my pelvis such that my sit bones had moved further apart. So I went to a Specialized Concept store to have my sit bones measured. The resulting number showed that my 130mm wide Selle Italia saddles were indeed to narrow for my sit bones. 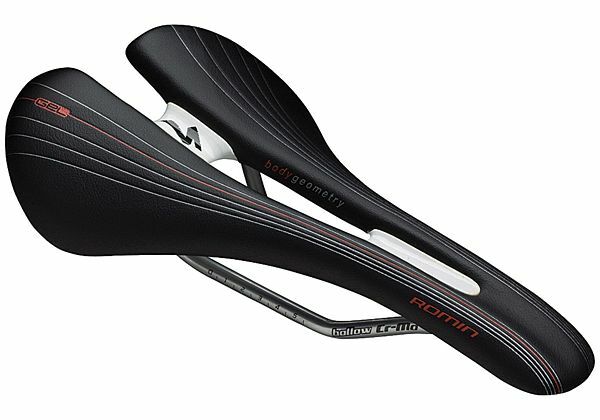 Specialized makes saddles in three widths: 130mm, 143mm, and 155mm. My sit bone measurement showed that I needed a saddle wider than 143mm. So I left the shop with a 155mm wide Romin Comp Gel saddle under my arm. I replaced the SL Flow saddle on my steel bike with the Romin saddle. The Romin felt very comfortable at first. As time went by it felt less and less comfortable. At the same time the SLR Flow saddle on my titanium bike became increasingly comfortable. My sit bones must have slowly migrated closer together again. The Romin saddle started feeling too wide for me. 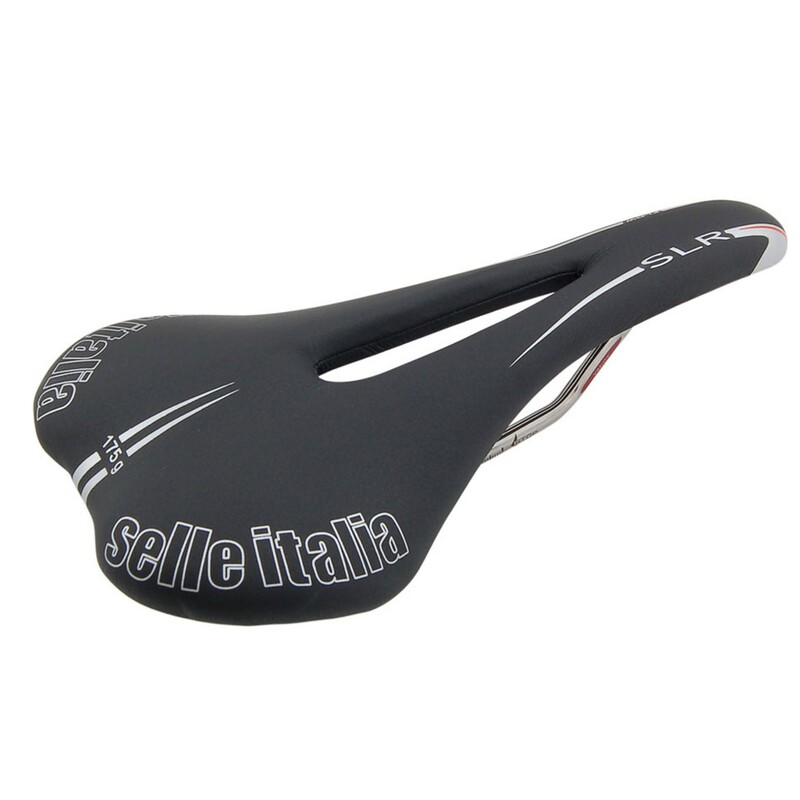 So when I had to choose a saddle for my Ritchey Breakaway I picked the latest iteration of the Selle Italia SLR saddle. The SLR Superflow. A 130mm wide one. The SLR Superflow has a monster cutout. Which must work as designed because this a very comfortable saddle. Since April this year I have rotated between the 130mm wide SLR Flow, the 130mm wide SLR Superflow, and the 155mm wide Romin Comp Gel saddles. The Romin was a mistake. Certainly in the 155mm width. Last week I replaced the Romin Comp Gel with another 130mm SLR Superflow. I think I am done fiddling with my saddles. But about that handlebar tape . . .
Posted in Gear and Tools and tagged Alchemy, Comp Road Logic, Condor Cycles, Fi'zi:k, Handlebar, Kurve, Pedals, Ritchey, Romin Comp Gel, Saddle, Selle Italia, SL Flow, SLR Flow, SLR Superflow, Speedplay, WCS Carbon Evolution. Bookmark the permalink.